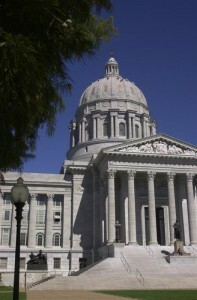 A circuit court in Jefferson City’s ruled against a challenge to a ballot initiative to raise the state’s cigarette tax. The challenge claimed signatures for the initiative were invalid because its language was modified after the signatures were collected. The judge ruled the signatures to be valid, and Secretary of State Jason Kander within the law to certify them. Two tobacco retailers, one in Springfield, the other in Joplin, filed suit against Kander and Raise Your Hand for Kids, the group backing the initiative. Jack Cardetti, who represents the measure’s proponents, thinks the judge’s decision protects the rights of those who signed the petition. “The ruling that came out spells out really clearly that the ballot initiative is one of the purest forms of participatory democracy”. Attorney Chuck Hatfield, who represents the measure’s opponents, isn’t backing off his claim that the signatures should be disqualified. “It’s not OK to mislead people into signing an initiative and then say ‘Well, we’ll just stick it on the ballot’. The truth of the matter is that this initiative is going on the ballot because signatures were gathered using a misleading ballot title”. Hatfield notes there’s never been a similar court case in Missouri, so there’s no guidance on whether or not the signatures count. He says he’s filing to have the suit heard in the state’s Western District Court of Appeals. In a statement supporting the judges decision, Secretary of State Jason Kander said “I applaud the Cole County Circuit Court’s decision today to uphold the signatures of more than 200,000 registered Missouri voters who legally signed the initiative petition. As the Court agreed, the intent of the law is not to disenfranchise Missourians who have legally signed a petition, which is why this petition should remain on the ballot so voters can decide on its merits.